Happy New Year Everyone! Hope everyone had a safe and fun filled New Years Bash! This is the first year in recent memory the wife and I had an in-house celebration, but the little guy wanted to be with us for his first new year’s eve party, so we hung out with him for the evening which was awesome! Another awesome bit of news, my You Tube Channel as of Jan 1, 2015 has hit the 1K Subscriber mark! Not a huge number by any means, but is a milestone for me! Very excited to see that my projects are striking a chord with so many people around the world! It’s what keeps me going and is the incentive to push the boundaries of my skills so that every project has a learning curve to keep growing with. So, that said, on to the projects! First up, I’ve finally revealed a project I’ve been working on since June. It’s been so long because 90% of this so far has just been design work which can take forever, but I’ve finally been able to utilize my 3D Printer and start putting the pieces together for the build! 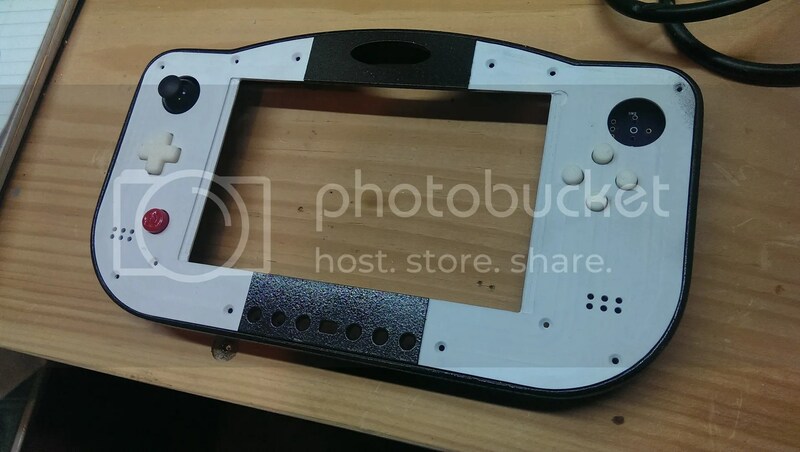 The project itself is another Portable OUYA game console and because of this, I’ve started a build log at The OUYA Forum where I’ve been a member for about a year now. Great group of people over there and some really talented developers so I encourage you to check it out if you’re interested in the console. I’ll be updating that thread as I make progress so be sure to check back often! Below is a pic of the progress of the Code Named “OUYAp V2”. This is probably my most complex project yet because of the number of different fabrication techniques and materials used. 3D Printing, CNC Machining, Styrene, Polycarbonate, ABS, custom PCBs and RGB LEDs. It’s quite the array but the best part has yet to be revealed and won’t be until the system is fully complete. So keep up with the work log for more updates. The next project is a commission that I took over for my friend Hailraizer. 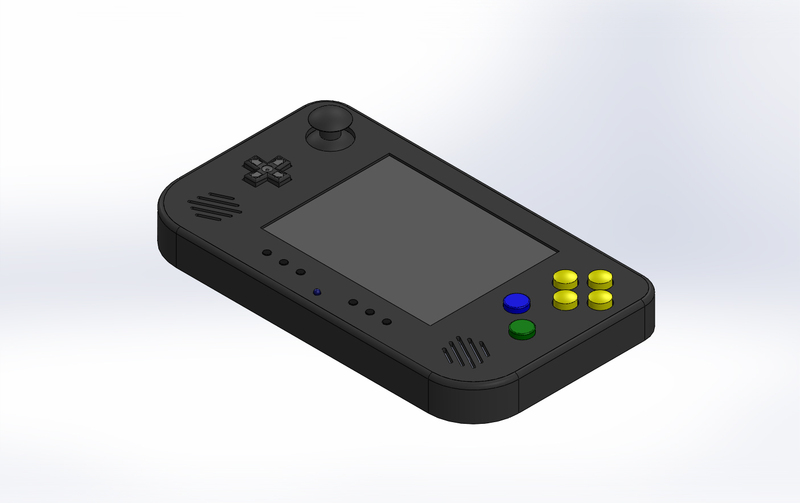 I haven’t built an N64 portable in years, so I figured I’d give this one a go to see how the new CAD/3D Printing methods work. This is still in the design phase so it’s going to be a little while before any building happens but it’s getting there and with this little bit of extra time I’ve got due to the holiday, I’ll be cranking that out as much as I can. So that’s what’s keeping me busy and I gotta keep moving so I’ll be hopefully posting a bit more regularly going forward.